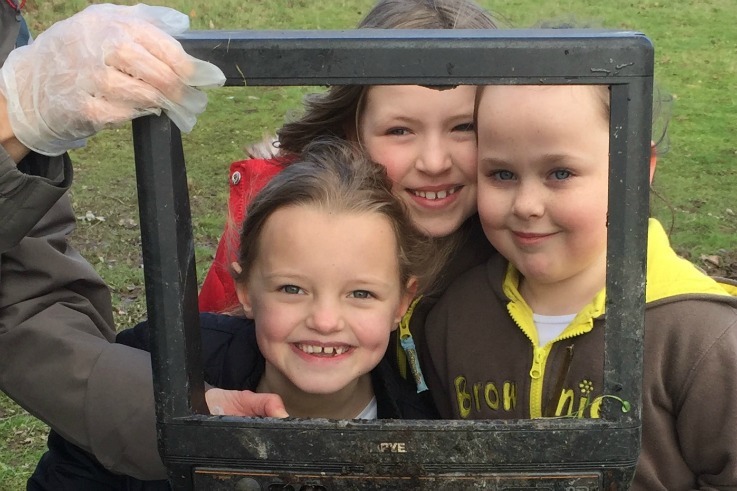 Three 2nd Ellesmere Brownies from Shropshire found themselves on TV when Ellesmere Brownies, Guides, Rangers, Cubs and Scouts all took part in the Keep Britain Tidy #GBSpringClean campaign on Saturday March 4th. Five trolleys worth of rubbish included this old TV frame were collected together with mountain of black sacks. Eye sore black spots were restored to their former glory and Ellesmere has had a spring clean ready for visitors to enjoy. Thanks to all the young people and volunteers. Pictured: Grace Stanley, Hannah Gilman, Holly Brookes.